A growing number of seniors are isolated and can’t visit their friends and family as much as they used to. This is especially true for seniors who don’t drive. Our Friendly Visitors program matches these people with screened and trained volunteers from the community for weekly one-hour visits. 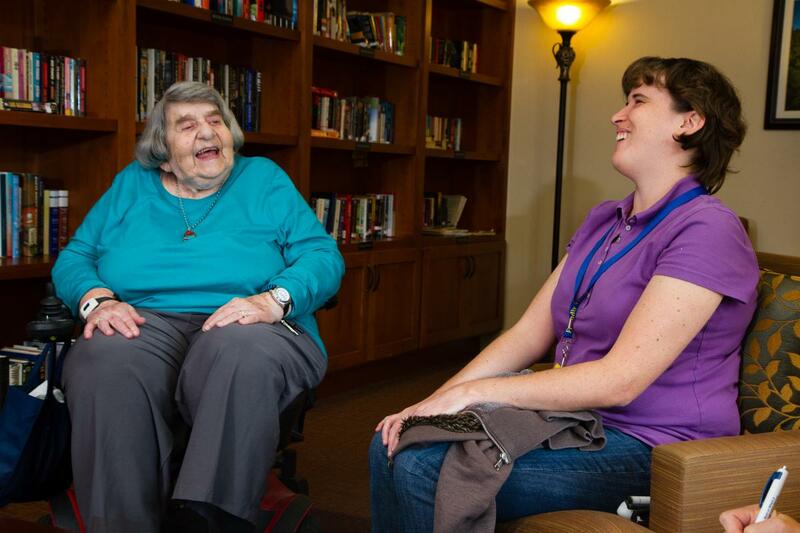 We provide companionship for 220 homebound seniors every week. WHAT DOES A FRIENDLY VISITOR DO? You visit your senior friend once a week for about an hour. You can meet at a time that works for both of you, even in the evening or on the weekend. During your visit, just enjoy spending time together and have fun. You can play games, read books, go grocery shopping, or simply share stories. When you sign up to be a volunteer, we’ll ask you about yourself and what you like to do. Then, we’ll match you with a senior who shares your interests and whom we think you’ll enjoy. We have a long list of seniors who are waiting to be matched with a Friendly Visitor. HOW DO I LEARN ABOUT VOLUNTEERING?